Section 1. Section 2. Section3. Public Notification Inviting Bids Notice is hereby given that Aspire Public Schools is requesting competitive proposals for contracts to provide meals under the National School Lunch, Breakfast Program and Child and Adult Care Food Program in 31 Charter Schools. A competitive bid package may be obtained from the Aspire Public School website at aspirepublicschools.org or by contacting [email protected] Bids must be submitted by May 28, 2014 at 4:00 pm PST either by certified mail or hand delivery with receipt verification to the following address: Aspire Public Schools Attention: Elaine Lenore 1001 22nd Avenue Oakland, CA 94606 No offer or intent should be construed from the legal notice that ASPIRE intends to enter into a contract with the interested company for vended meal unless it is in the best interest of ASPIRE to do so. ASPIRE reserves the right to negotiate final contractual terms with the successful companies. Section 2: GENERAL INFORMATION About us Aspire Public Schools (Aspire) is one of the nation's top-performing large school systems serving predominantly low-income students. We provide 13,000 students in grades K-12 with a rigorous, college-preparatory education. Aspire Public Schools is a School Food Authority for the 31 Charter Schools listed in Appendix A. As such, it 1) files for state and federal reimbursement dollars in order to make food provision financially feasible, 2) performs required monitoring responsibilities, and it 3) facilitates the securing of school contracts with Authority-approved, Charter-selected vendors to provide high-quality, USDA-compliant breakfasts, lunches, snacks and supper. Charter School Sites This bid is intended to approve vendors for the 31 Charter schools listed in this bid in addition to any new school opened under the Aspire Public Schools SFA. Charter school sites are made up of schools serving elementary, middle and high-school students, and the average enrollment of each school is between 200 and 600 students. See Apendix A for list of sites. 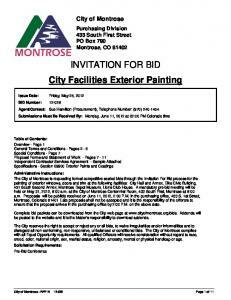 Manner of Submission – The sealed Proposal must be received at the address listed in Section 2.1 on or before May 28, 2014 at 4:00 P.M. Each Proposal date and time of delivery will be recorded at Apsire Public School’s Home Office. Proposals received after the listed time on the due date will not be considered and will remain unopened. Format of Proposal - Each Proposal must include the information required in Section 3. Submitted Proposals are Considered Final – All Proposals shall be deemed final, conclusive and irrevocable, and no Proposal shall be subject to correction or amendment for any error or miscalculation. Form of Contract – Each successful Bidder shall be required to enter a contract in the form prescribed by Aspire Public Schools. Contracts will have a term of one year and may be renewed for up to four additional one-year terms, as permitted by law. Payment – Vendors will invoice Aspire Public Schools main office at 1001 22nd Avenue, Oakland, CA 94606. Payment terms are Net 30 monthly (billed once a month). This Invitation for Bid establishes the conditions to be met by agencies interested in providing vended meals to Aspire Public Schools hereinafter referred to as the AGENCY. Subject to the conditions prescribed, sealed bids are invited for the purpose of providing breakfasts, lunches, and/or snacks, supper hereinafter referred to as MEALS that meet the National School Lunch Program (NSLP), School Breakfast Program (SBP), CACFP and Meal Supplements in the National School Lunch Program meal pattern requirements. Part I: Pricing Proposal The following information should be provided in Part I of the Proposal. The Proposal should be clearly marked: “Part I- Pricing Proposal” a. Part II: Experience The following information should be provided in Part II of the Proposal. The Proposal should be clearly marked: “Part II- Experience”. Only Vendors with a minimum of 2 to 4 years’ experience servicing charter schools/school districts/ private schools will be considered. A list of clients served within past five years (please include contact information and an indication of whether or not food was provided in accordance with NSLP or SBP guidelines). Evidence of past experience and commitment to continue working with schools to incorporate Nutrition Education with both parents and students (samples of materials recently used are required). Only Vendors with a strong track record of nutritional education with students and parents will be considered. Detailed plan to work with school to track and improve student participation. Examples of recent work completed in this area, including results from student surveys. a. 3 one week menus for each meal as an example of expected offerings. Offerings must be compliant with state and federal portion sized and nutritional values. Weekly menu must demonstrate compliance with new NSLP meal pattern requirements (Calories, Trans Fats, Fruit and Vegetable servings, etc.) b. Corresponding production records and Nutrient Analysis for the menus. c. Corresponding standardize recipes for the menus. d. A list of all menu items offered throughout a school year for breakfast and lunch and snack and supper. e. A copy of the Registered Dietitian credential status. f. A detailed list of equipment we are required for your style of service. Or equipment you provide for your style of service. Example: salad bars, warming equipment and refrigeration necessary. g. If providing equipment you must include a manufacturer specs with electrical requirements. e. A copy of the production kitchen HACCP Plan. f. A copy of the county permit to operate. g. A copy of the last health inspection report for the facility at which meals will be prepared and food items stored. Please note that proof of TB clearance for all employees that will be on Aspire’s school grounds including drivers and proof of cleared background checks for all employees that will be on Aspire’s school grounds ] will be required upon signing a contract. Evaluation Criteria – The following criteria will be used with the weighted values below to evaluate each proposal received. Aspire Public Schools reserve the right to request clarification to the Proposal in order to evaluate all proposals. Scope of Work: The Vendor will supply MEALS to the AGENCY that comply with the nutrition standards established by the United States Department of Agriculture (USDA) for Traditional Menu Planning. The vendor will prepare MEALS at a site that maintains the appropriate state and local health certifications for the facility and will package and deliver these MEALS in accordance with the food safety guidelines of the appropriate governing health departments. The AGENCY will not pay for meals that are spoiled, unwholesome at time of delivery and not compliance with national school lunch program as a reimbursable meal. VENDOR RESPONSIBILITIES a. VENDOR will provide the necessary utensils and napkins in sufficient quantity for the number of MEALS ordered. b. VENDOR shall deliver meals to location(s) at times specified by AGENCY. c. VENDOR shall be responsible for the condition or care of MEALS until they are delivered to the school and delivery has been accepted by appropriate school personnel. d. VENDOR shall provide to AGENCY no later than two (2) weeks prior to the end of each month, a monthly menu covering the meals to be served for the following month. Menu must including a food-based analysis to ensure the menu meets the minimum menu pattern for each grade level. e. When requested by the AGENCY, the VENDOR shall provide AGENCY with sack lunches for field trips. All meals for field trips must meet the appropriate meal pattern requirements. f. VENDOR shall be responsible for maintaining the proper temperature of the lunch components until the AGENCY accepts delivery. g. VENDOR shall maintain all necessary records on the nutritional components and quantities of the MEALS served at the AGENCY and make said records available for inspection by State and Federal authorities upon request as well as provide copies to Aspire personnel upon request. h. VENDOR shall maintain all necessary records pertaining to the receipt and use of USDA donated foods provided to the VENDOR by the AGENCY. VENDOR shall assume all liability for proper use and protection of commodities and materials necessary to prepare the meals while they are stored at the preparation site. VENDOR shall allow Aspire to visit production centers at any time requested. k. VENDOR must supply transport record for daily deliveries. l.
VENDOR to document delivery time and temperature of entrée(s) delivered to the school site on the school sites temperature log. m. VENDOR will invoice meals to the AGENCY on a monthly basis. AGENCY RESPONSIBILITIES a. AGENCY shall notify VENDOR of the number of MEALS needed each week (details to be outlined in contract). b. The AGENCY shall be responsible for temperature and condition of food after delivery has been accepted. c. The AGENCY shall not pay for meals that are spoiled or incomplete reimbursable meals or unwholesome at time of delivery this includes meals delivered outside the safe temperature range. Describe how the VENDOR will become compliant with new NSLP meal pattern requirements. Please reference submitted weekly menus, etc. Describe how the VENDOR will assist the School in meeting the Offer vs. Serve requirements (packaging methods, etc.). Describe how the VENDOR will reduce the administrative burden of the Aspire staff. ATTACHMENT C CERTIFICATIONS REGARDING LOBBYING; DEBARMENT, SUSPENSION, AND OTHER RESPONSIBILITY MATTERS Applicants should refer to the regulations cited below to determine the certification to which they are required to attest. Applicants should also review the instructions for certification included in the regulations before completing this form. Signature of this form provides for compliance with certification requirements under 7 CFR Part 3018, “New Restrictions on Lobbying,“ and 7 CFR Part 3017, “Government-wide Debarment and Suspension (Nonprocurement) and 7 CFR Part 3021 Government-wide Requirements for Drug-Free Workplace (Grants).” The certification shall be treated as a material representation of fact upon which reliance will be placed when the Department of Education determines to award the covered transaction, grant, or cooperative agreement. (a) No Federal appropriated funds have been paid or will be paid, by or on behalf of the undersigned, to any person for influencing or attempting to influence an officer or employee of any agency, a Member of Congress, an officer or employee of Congress, or an employee of a Member of Congress in connection with the making of any Federal grant, the entering into of any cooperative agreement, and the extension, continuation, renewal, amendment, or modification of any Federal grant or cooperative agreement; (b) If any funds other than Federal appropriated funds have been paid or will be paid to any person for influencing or attempting to influence an officer or employee of any agency, a Member of Congress, an officer or employee of Congress, or an employee of a Member of Congress in connection with this Federal grant or cooperative agreement, the undersigned shall complete and submit Standard Form - LLL, “Disclosure Form to Report Lobbying,” in accordance with these instructions; and (c) The undersigned shall require that the language of this certification be included in the award documents for all subawards at all tiers (including subgrants, contracts under grants and cooperative agreements, and subcontracts) and that all subrecipients shall certify and disclose accordingly. Title 31 U.S.C. Section 1352. This disclosure of lobbying activities is a material representation of fact upon which reliance was placed by the tier above when this transaction was made or entered into. This disclosure is required pursuant to 31 U.S.C. 1352. This information will be reported to the Congress semi-annually and will be available for public inspection. Any person who fails to file the required disclosure shall be subject to a civil penalty of not less than $10,000 and not more than $100,000 for each such failure. This disclosure form shall be completed by the reporting entity, whether sub-awardee or prime Federal recipient, at the initiation or receipt of a covered Federal action, or a material change to a previous filing, pursuant to Title 31 U.S.C. Section 1352. The filing of a form is required for each payment or agreement to make payment to any lobbying entity for influencing or attempting to influence an officer or employee of any agency, a Member of Congress, an officer or employee of Congress, or an employee of a Member of Congress in connection with a covered Federal action. Complete all items that apply for both the initial filing and material change report. Refer to the implementing guidance published by the Office of Management and Budget for additional information. 1. Identify the type of covered Federal action for which lobbying activity is and/or has been secured to influence the outcome of a covered Federal action. 2. Identify the status of the covered Federal action. 3. Identify the appropriate classification of this report. If this is a follow-up report caused by a material change to the information previously reported, enter the year and quarter in which the change occurred. Enter the date of the last previously submitted report by this reporting entity for this covered Federal action. 4. Enter the full name, address, city, state, and zip code of the reporting entity. Include Congressional District, if known. Check the appropriate classification of the reporting entity that designates if it is, or expects to be, a prime or sub-award recipient. Identify the tier of the subst awardee, e.g., the first sub-awardee of the prime is the 1 tier. Sub-awards include but are not limited to subcontracts, sub-grants and contract awards under grants. 5. If the organization filing the report in item 4 checks “Sub-awardee,” then enter the full name, address, city, state, and zip code of the prime Federal recipient. Include Congressional District, if known. 6. Enter the name of the Federal agency making the award or loan commitment. Include at least one organizational level below agency name, if known. For example, Department of Transportation, United States Coast Guard. 7. Enter the Federal program name or description for the covered Federal action (Item 1). If known, enter the full Catalog of Federal Domestic Assistance (CFDA) number for grants cooperative agreements, loans, and loan commitments. 8. Enter the most appropriate Federal identifying number available for the Federal action identified in item 1 (e.g., Request for Proposal (RFP) number; Invitation for Bid (IFB) number; grant announcement number; the contract, grant, or loan award number; the application/proposal control number assigned by the Federal agency). Include prefixes, e.g., “RFP-DE-90-001.” 9. For a covered Federal action where there has been an award or loan commitment by the Federal agency, enter the Federal amount of the award/loan commitment for the prime entity identified in item 4 or 5. 10. (a) Enter the full name, address, city, state, and zip code of the lobbying registrant under the Lobbying Disclosure Act of 1995 engaged by the reporting entity identified in item 4 to influence the covered Federal action. (b) Enter the full names of the individual(s) performing services, and include full address if different from 10(a). Enter Last Name, First Name, and Middle Initial (MI). 11. The certifying official shall sign and date the form, print his/her name, title, and telephone number. According to the Paperwork Reduction Act, as amended, no persons are required to respond to a collection of information unless it displays a valid OMB Control Number. The valid OMB control number for this information collection is OMB No. 0348-0046. Public reporting burden for this collection of information is estimated to average 10 minutes per response, including time for reviewing instructions, searching existing data sources, gathering and maintaining the data needed, and completing and reviewing the collection of information. Send comments regarding the burden estimate or any other aspect of this collection of information, including suggestions for reducing this burden, to the Office of Management and Budget, Paperwork Reduction Project (0348-0046), Washington, DC 20503. Have not within a three-year period preceding this application had one or more public transactions (Federal, State, or Local) terminated for cause or default. CERTIFICATE OF INDEPENDENT PRICE DETERMINATION Both the school food authority and vendor shall execute this Certificate of Independent Price Determination. By submission of this offer, the offeror (vendor) certifies and in the case of a joint offer, each party thereto certifies as to its own organization, that in connection with this procurement: (1) The prices in this offer have been arrived at independently, without consultation, communication or agreement, for the purpose of restricting competition, as to any matter relating to such prices with any other offeror or with any competitor; (2) Unless otherwise required by law, the prices which have been quoted in this offer have not been knowingly disclosed by the offeror and will not knowingly be disclosed by the offeror prior to opening the case of an advertised procurement, directly or indirectly to any other offeror or to any competitor; and (3) No attempt has been made or will be made by the offeror to induce any person or firm to submit or not to submit, an offer for the purpose of restricting competition. Each person signing this offer on behalf of the offeror certifies that: (4) He or she is the person in the offeror’s organization responsible within the organization for the decision as to the prices being offered herein and has not participated, and will not participate, in any action contrary to (A)(1) through (A)(3) above; or (5) He or she is not the person in the offeror’s organization responsible within the organization for the decision as to the prices being offered herein, but that he or she has been authorized in writing to act as agent for the persons responsible for such decision in certifying that such persons have not participated and will not participate, in any action contrary to (A)(1) through (A)(3) above, and as their agent does hereby so certify; and he or she has not participated, and will not participate, in any action contrary to A)(1) through (A)(3) above. In accepting this offer, the Sponsor certifies that no representative of the Sponsor has taken any action, which may have jeopardized the independence of the offer referred to above. Accepting a bidder’s offer does not constitute award of the contract. Appendix A LIST OF SCHOOLS Central Valley (9) 1. 2. 3. 4. 5. 6. 7. 8. 9. Report "Invitation for Bid School Year"